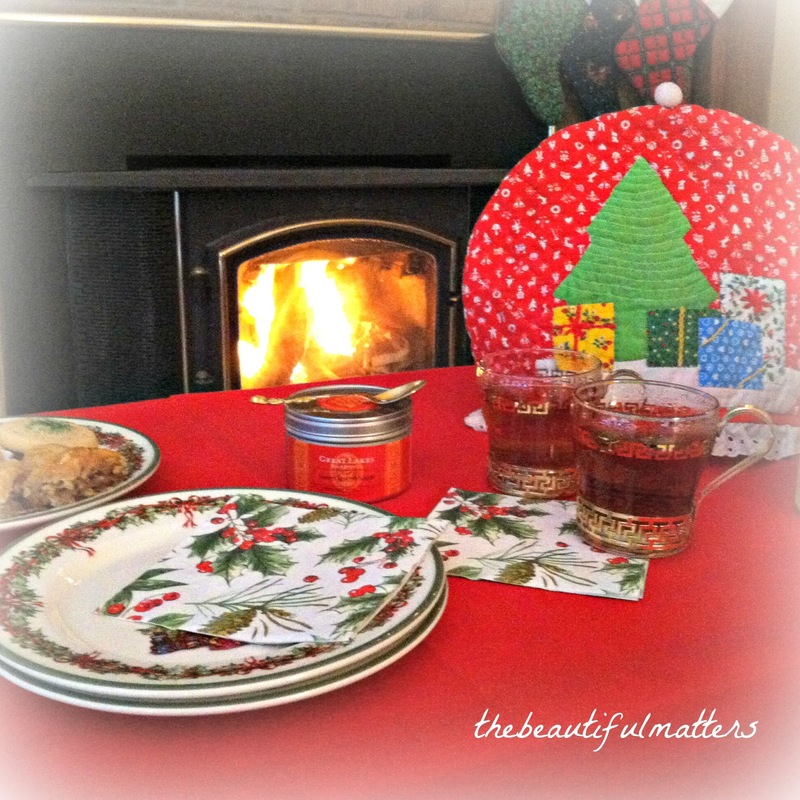 Sandi at Rose Chintz Cottage has invited us to join her for "an old-fashioned Christmas tea" this week. I am using some family heirlooms today; that's what makes it "old-fashioned" for me. But just the fact that we're sitting before the fire with tea and sugar cookies seems old-fashioned as well. We're not on our laptops or cell phones, or running to the mall; just slowing down and un-plugging is a way to enjoy some old-fashioned comforts. First, a peek at our tree, with lots of decorations handmade by my grandmother. Next to the tree is a table set before the fire for tea. 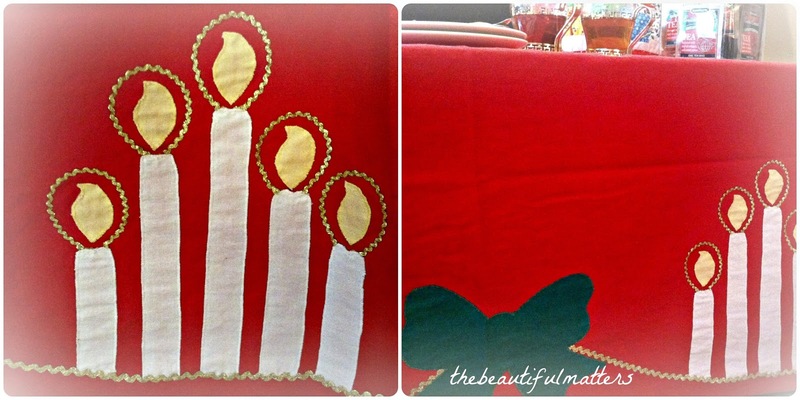 My grandmother made this tablecloth. I remember we used it when I was growing up, and now our family is enjoying it. My mother made this fun little tea cozy . . . These cups were my mother-in-law's. Sometimes we use them for eggnog with a sprinkle of nutmeg on top. Today, we're drinking Constant Comment decaf, probably my favorite non-caffeinated tea. And what better to go with tea than a little plate of sweets and some salty cashews (Mr. Beautiful's favorite)? A friend taught a group of us how to make baklava on Saturday. We each made a pan to take home and bake. Just look at this yumminess . . .
And speaking of Mr. Beautiful, here is a rare shot of him, just before we headed out to his company's Christmas party last Friday night. can you see where he gets his name? But back to tea . . . in the spirit of all things old-fashioned, I've pulled out my Christmas stocking from childhood, also made by my grandmother. Some vintage Christmas hankies . . .
And lest you think it is all old-school red and green around here . . . I've got a little aqua and pink sparkle happening out in the foyer. This makes me smile every time I walk past it. I hope that you're enjoying some old-fashioned delights this December . . . making Christmas cookies, listening to Christmas carols, reading a good book, stringing popcorn, visiting with loved ones . . . and enjoying a quiet cup of tea. Sounds like you had the perfect day. It is not too often that we get to turn off the world to enjoy each others company. 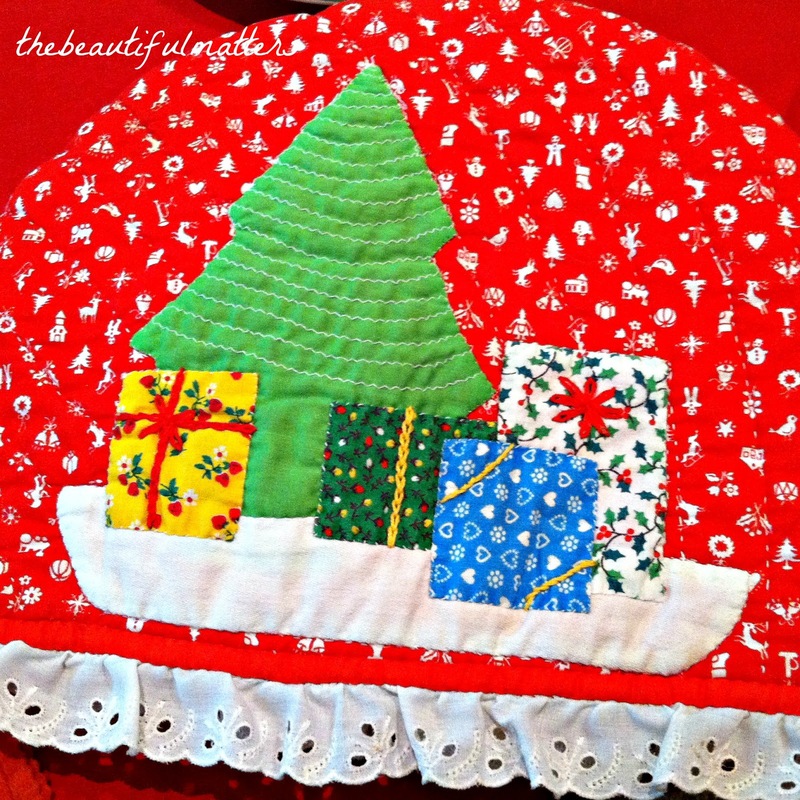 Those handmade ornaments are precious and I love the tablecloth made by your grandmother. Your hubby is very handsome. Well you make a beautiful couple! Your tea looks so nice, and all the handmade items by your mother and grandmother make the whole setting very nostalgic. I enjoy using things from my mother so much, especially at this time of year. Love the little handmade decorations on the tree. Your tea looks very inviting next to the fire. That baklava looks perfect! Yum, yum! 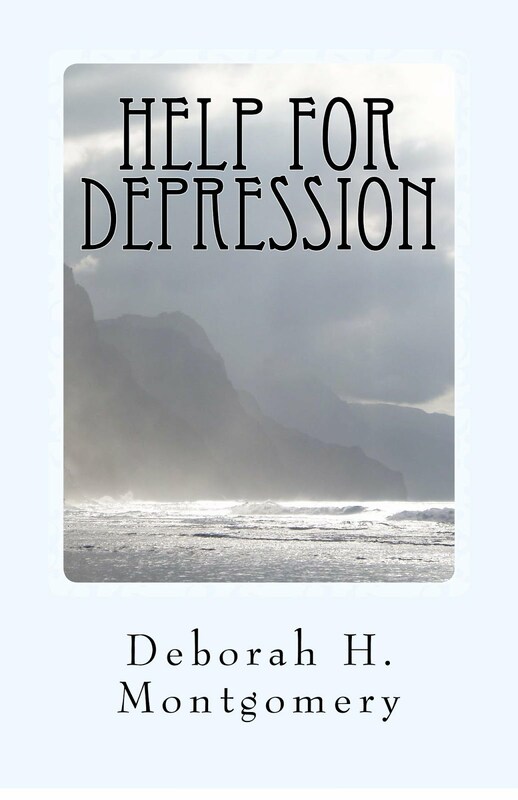 What a treasure you have graced all around your Christmas tree, Deborah. Your grandmother made some very cute ornaments. Beautiful memories indeed. The photo of you and"Mr Beautiful" is quite lovely. Thank you for sharing it with us. I really loved that you had the tea without any electronics for the day. I love all of the handmade items your grandmother made. The tea and handmade desserts all look so good. You and your husband make a sweet couple! Wishing you a wondeful week. What a perfect setting for an afternoon tea. The old fashioned treasures created with love by your Grandma are a real delight. Stunning. You are such a lovely couple! Thanks for sharing the photo of you two. Your Christmas tea looks so inviting. 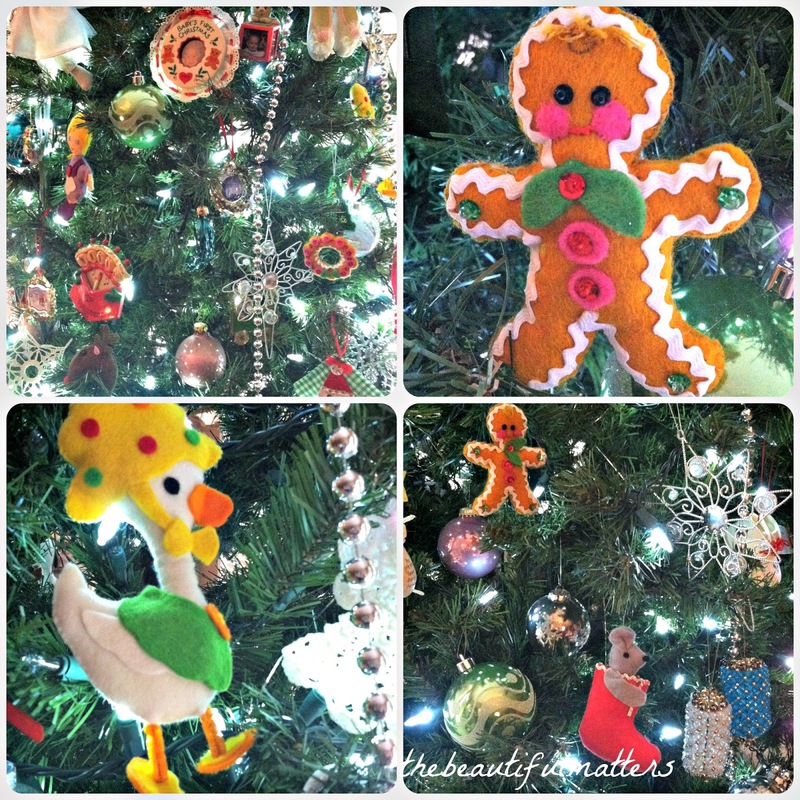 Your tree looks wonderful covered with handmade ornaments. I like your pink and aqua tree too, it does make one smile. What an attractive couple! I can see why you're attached to him - you look very close to each other in many ways. Lovely photo of you and your husband together! The treats look delicious! How special that you've inherited so many family treasures. Your table looks so pretty, Deborah! Love the tea cozy. Sweet memories from your grandmother. Love the photo of you and your hubby. Have a wonderful and relaxed Christmas, Deborah! Awwww.... you and your husband are just adorable! Your post was a joy to read, my friend. From the darling tea cozy to the delicious treats, everything was wonderful. Happy Monday to you! Hugs! Such a lovely photo of you and your darling, Deborah!! I enjoyed seeing all your handmade projects from your grandma and your mom. They are such special treasures and perfect for an old-fashioned tea for today, my friend. I love Constant Comment, too, and one of my sons drinks the CC green tea everyday. Have you tried it? It's not quite strong enough for me. Oh, I forgot to mention, that I love your MIL's darling cups,too. You're so sentimental and I love that about you. Happy Tea Day! Dear Deborah, what a handsome couple you are. Love the pic of you and Mr. Beautiful. You both fit the name perfectly. Your home and all the wonderful keepsake treasures are so special. 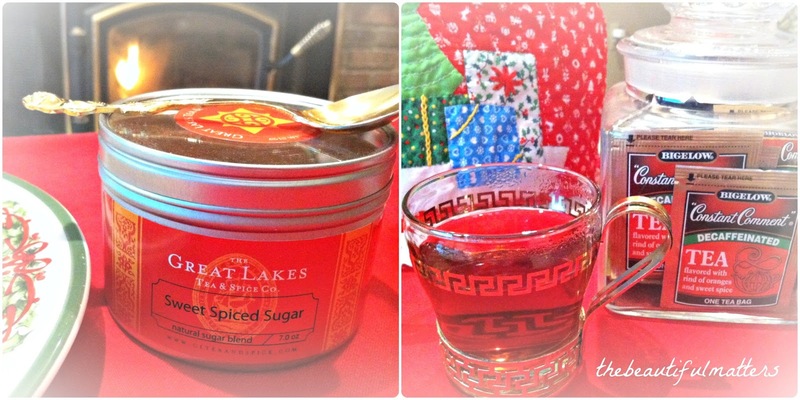 To have the pretties your grandmother created is a blessings.Love the tea table set in front of the fire. The perfect spot to enjoy those yummy goodies. My goodies they look wonderful. Your foyer tree is beautiful. Love the color and the pencil style tree. Wishing you a special week. What a handsome couple you and your hubby are! Isn't it wonderful when our mates are not camera shy? I don't like the camera but my hubby loves it but then he is a ham. I love your grandmother's handmade ornaments. What wonderful treasures they are and the tablecloth too. The cups really are lovely and they show off the tea so well. Yummy looking treats! You have some special treasures in your home, Deborah. Tea in front of the fire; lovely! 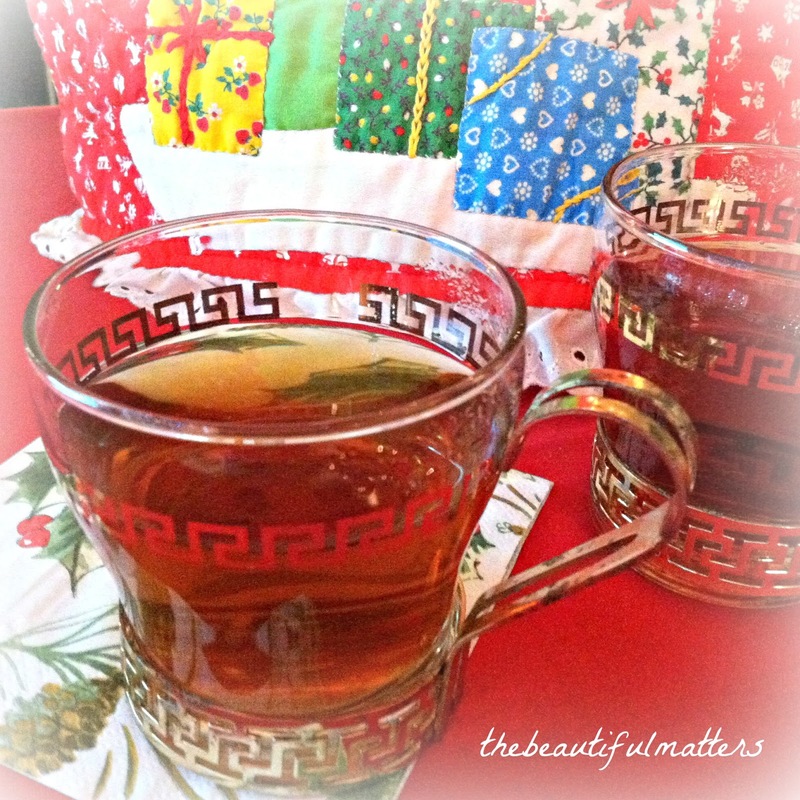 Thank you so much for sharing this sentiment filled post and joining me for tea. Have a lovely week and Merry Christmas to you and your family! 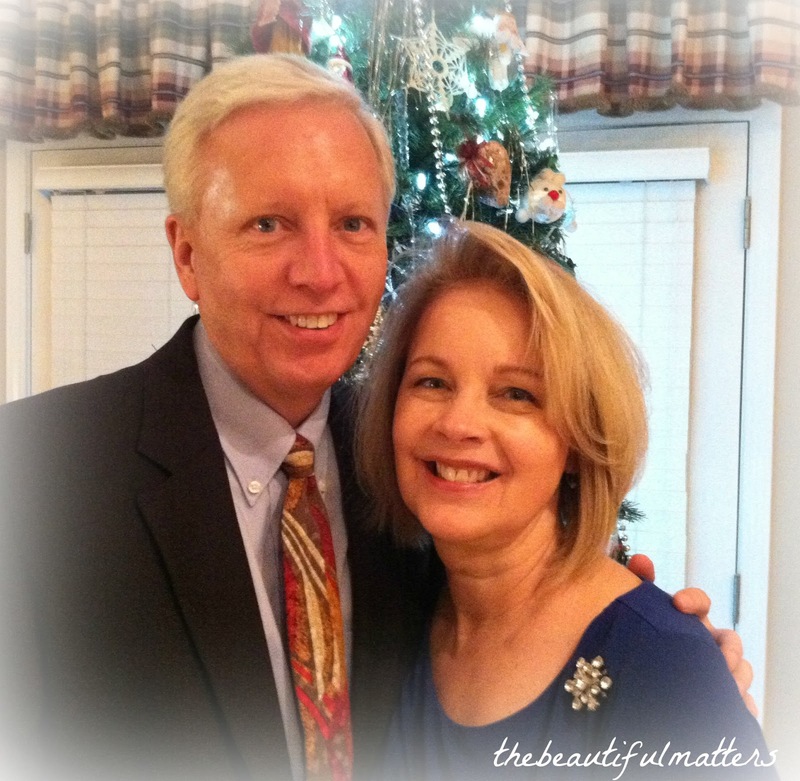 What a lovely photo of you and your hubby, Deborah; both of you have beautiful smiles! How wonderful to have so many family heirlooms for Christmas. I love the tea cozy and your stocking is sweet. 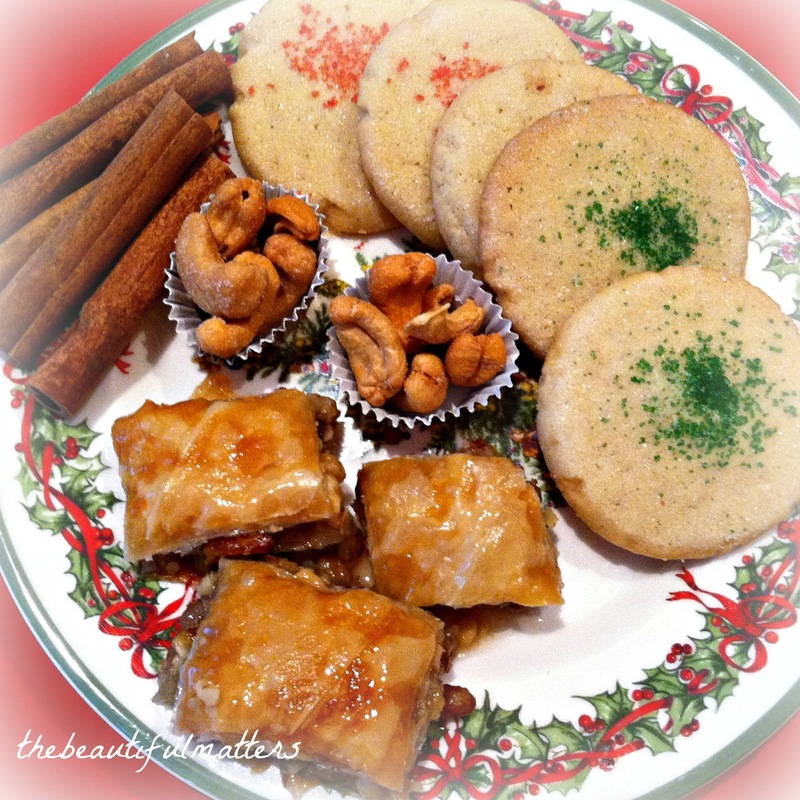 Kudos to you for your scrumptious baklava! It looks divine! 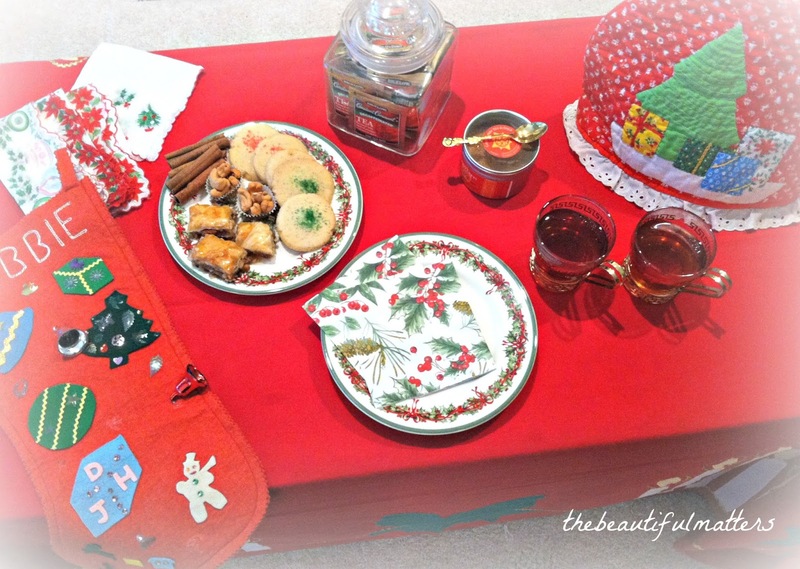 The handcrafted Christmas tablecloth, tea cozy and stocking are old fashioned treasures for sure and must carry sweet memories with them. You and your hubby look lovely as you head out for the party and I wish I could join you in person for tea to try your baklava. 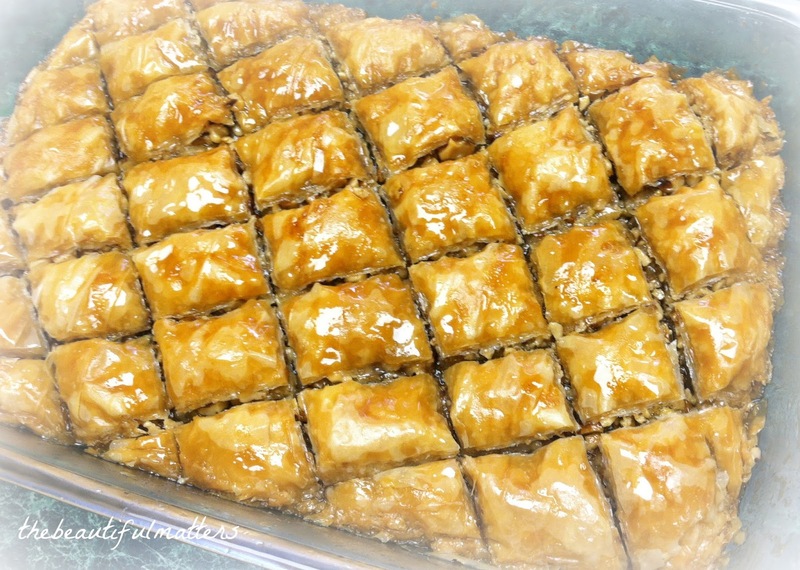 OOOHHHHHH Baklava!!! Love it. I usually buy it from the local greek church ladies when they have their holiday sales. Oh, so beautiful! The tea cozy flashed me right back to things I used to sew years ago.... using bright colored fabrics, calicos, patchwork, embroidery. 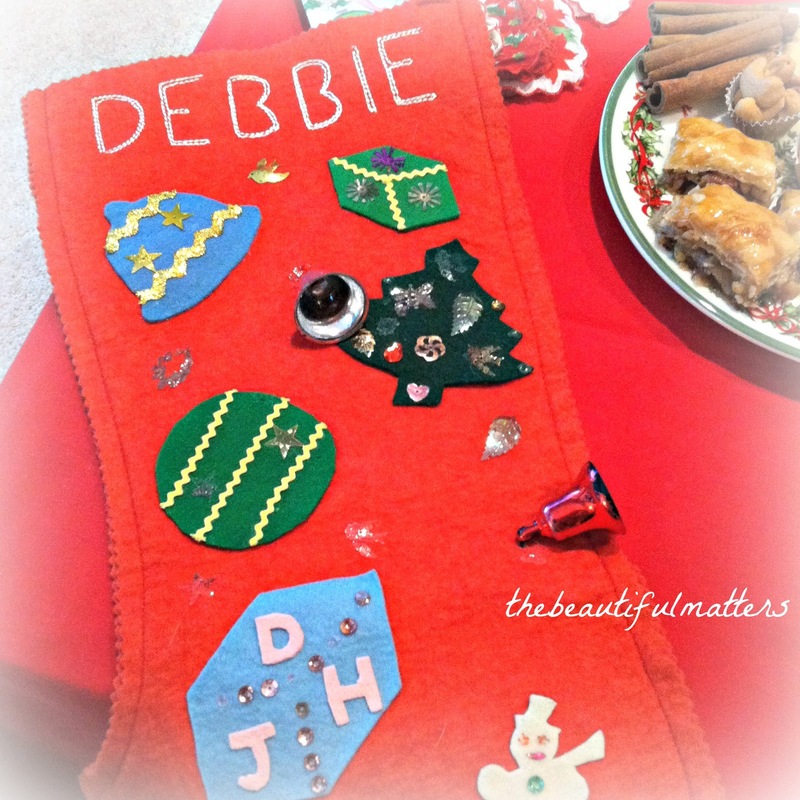 And I love your Christmas stocking - what a treasure! 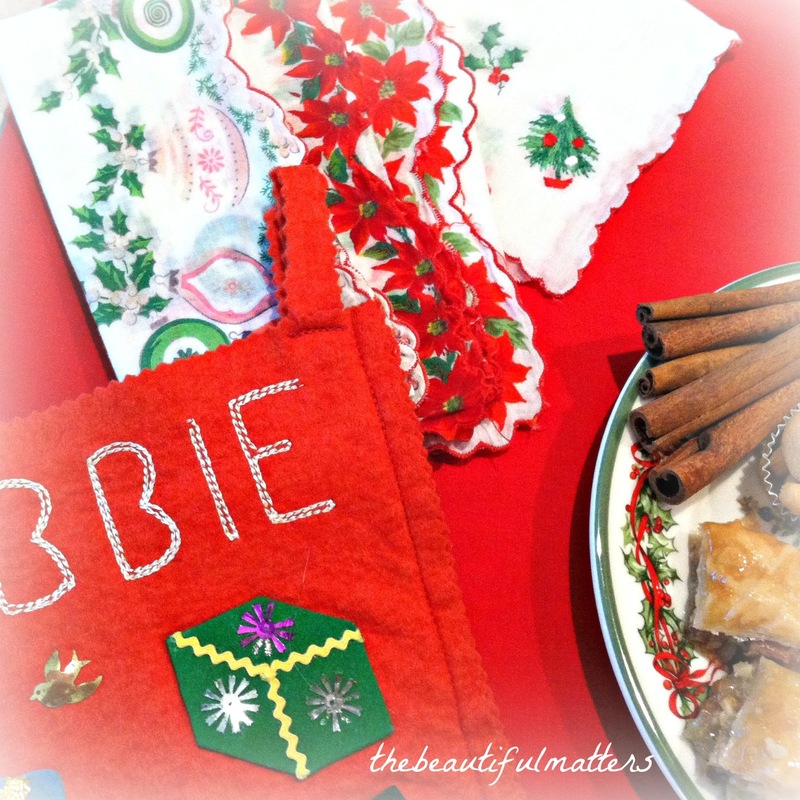 Well, old fashioned often goes back a generation or two and your Grandmother's tablecloth is precious and also here hand made ornaments and cute 'Debbie' stocking! Fond memories indeed. 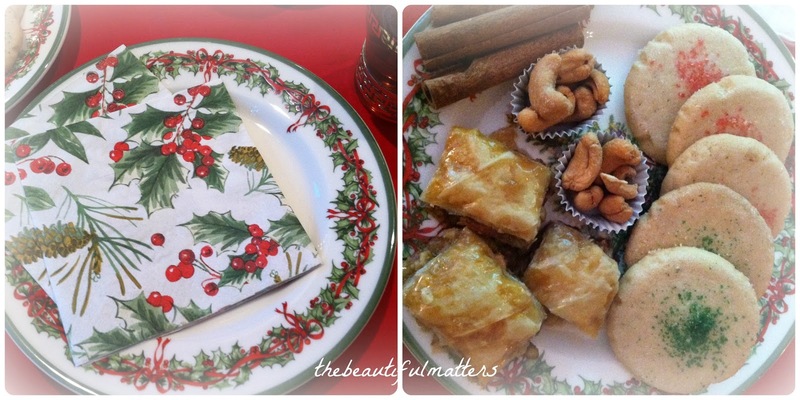 Loved the Greek key patterned tea glasses and next you show us your yummy baklava... Greek theme. You both looked lovely and such parties are a joy for December. What a handsome couple! Mr. and Mrs. Beautiful :) I love a nice crackling fire around the holidays. Makes everything more cozy and homey. Give me a twinkling lights, a warm fire, and a cup of something hot and I'm happy. Your Christmas is filled with memories that your Grandmother made for you; I love that. What a splendid walk through memory lane with you. Such special things. I had to take a double look at the gingerbread man, because I made a similar one years ago. Oh I love that tall aqua and pink tree in your foyer. Woohoo! And what a lovely couple -- it's so nice to see you both in your photo. Wonderful.... thanks Deborah for a beautiful tea party. Yes, I can see why you call him "Mr. Beautiful " . Debbie, thank you for sharing all this joy and beauty with us! I'll go check on these blog party. Might join, but might just enjoy looking at the prettiness of others :) I LOVE the tablecloth and the cozy that your family's ladies made. Ooo - makes me want to go sew! But I have knitting to do myself. We're drinking lots of tea each day. I have a cup of warm, sweet, milky chai by me right now. Enjoy your Christmas! I usually take one day, or two, to do shopping with the family in town, but otherwise I long to have a quiet, thoughtful break to rest my body and soul. 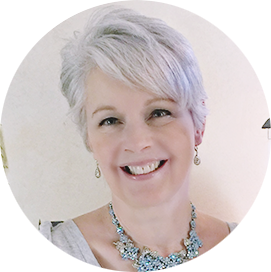 Hi Deborah, I enjoyed your post so much seeing all your lovely treasures! Tea time by the fire is always special and your sweet tray looks so yummy! What a wonderful picture of you and your hubby! Wishing you and your family a blessed Christmas!